We had an enjoyable start to the week, as the whole class fell for a little April Fool on Monday! But we swiftly settled down to starting our revision in Maths and have tackled percentages, angles and division this week. As this has been our Holy Week in school, we completed our RE work through Literacy as well. The children researched and took part in our version of the trial of Jesus. 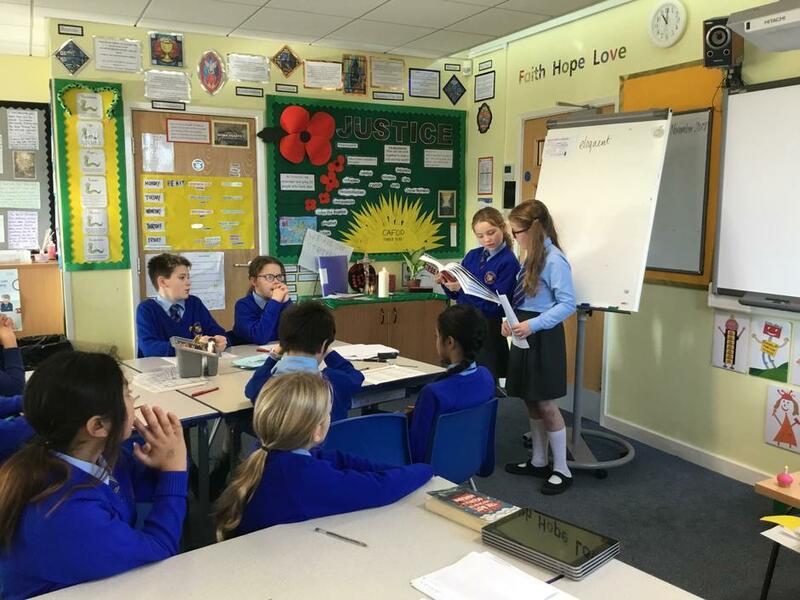 All of the children were very impressive, arguing for the defence and prosecution of Jesus, then writing a discussion about whether they thought that the trial was fair. 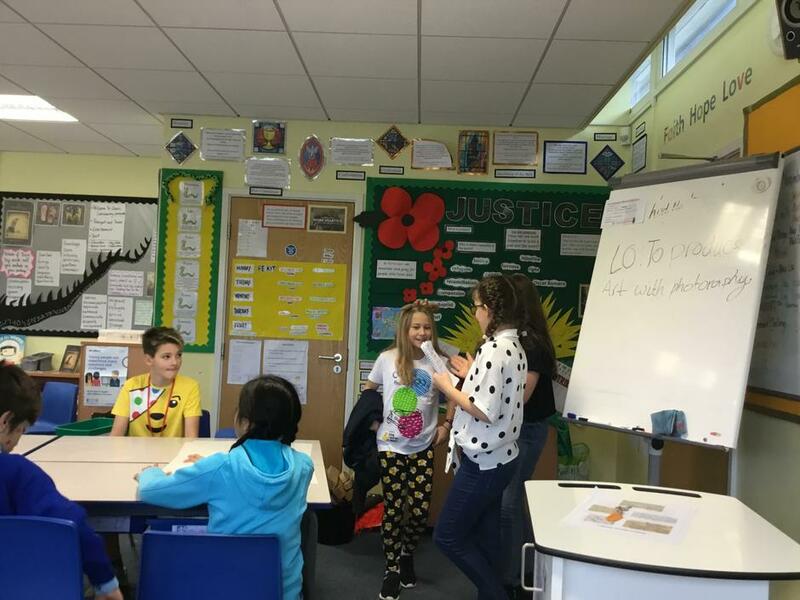 Throughout the week, the children have been trying to crack some codes and decipher some anagrams to allow them to take part in an Easter egg hunt this morning. Then this afternoon we watched Year 4's Passion Play, which was the perfect end to our Holy Week. I hope you all enjoy the holidays and have a happy and holy Easter! Imagining the trial of Jesus. Not too much to say this week apart from well done to the children for working hard completing their practice SATs! Their tests will be sent home next week. Thanks to everyone who came to our assembly on Thursday - we hope you found it relaxing! It was quite a lot of work trying to put it together in the midst of the tests, so the children have done really well. We finished a fantastic week in Year 6, with our U11 football team beating St Peter’s 4-3, in a very entertaining match. Well done to the Year 6 boys who took part! All the class have been working really hard to master fractions, decimals and percentages in Maths lesson this week. It’s also been great to see the children consolidating their long division skills and showing a great aptitude for algebra! We have a secret mission in Literacy, that we can’t discuss too much, but needless to say, the children are working really hard and producing some excellent writing, with especially good vocabulary. PE found us circuit training on Monday - demonstrating core strength, stamina and agility. Next week, PE will be on Friday afternoon instead. Finally, in RE we are exploring the events of Holy Week and discussing how Jesus’ words and actions were twisted at the time and ultimately used against him. None of the children wrote the blog this afternoon, as we were practising our assembly, which will be next Thursday at 9am. We’re also doing tests next week, so the children will be familiar with how things will run in the actual SATs week in May. It’s now the second week of Lent, and this week Year 6 have been focusing on almsgiving, by trying to raise money for CAFOD and the Good Shepherd’s appeal, through keeping silent for a morning (which I loved!) and running a ‘Crack the Egg’ competition. It was great to meet with so many parents at the two parent’s evenings this week. Thank you for coming into school and taking the time to look at all the hard work that we’ve been doing. All your support is very much appreciated. I have attached a couple of websites that the children might find useful to use at home to help to consolidate their learning. And a big thank you to Romy, who has written this week’s blog. On Monday we visited Leeds’ Grand Mosque, so we could learn more about the faith of Islam. We learned a lot of interesting facts and tried on clothes that people from Muslim countries all over the globe wear. In the afternoon, we did P.E and we made bridges with our partners, as well as travelling across gym equipment. 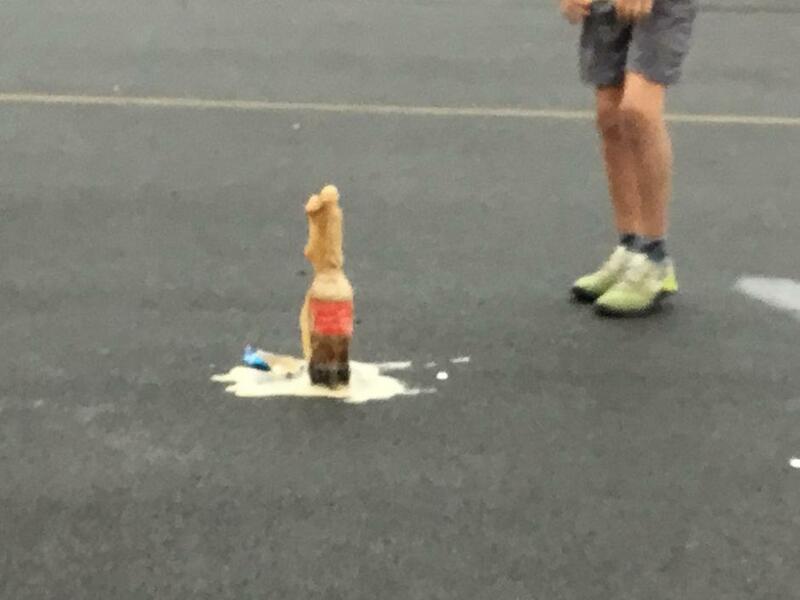 This was part of our bridges project for National Science week. 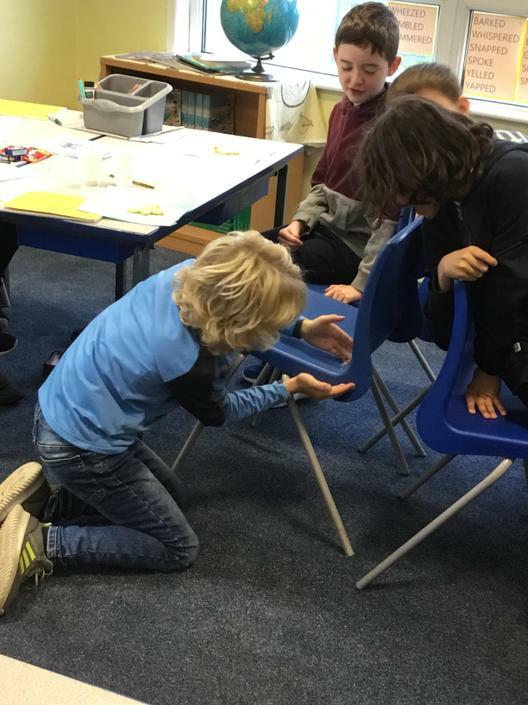 On Tuesday - following on from the previous day - we made bridges with paper, tape, paper clips and thread, having looked at a variety of types of bridges. We made this into a competition to see who could make the best bridge, according to a set criteria. I’m pleased to say that my group won!! On Wednesday, we were set a special mission from MI5. But it’s too secret so I’m afraid I cannot divulge any further information. We also had the opportunity to see how a Van de Graff generator works - it was certainly hair-raising for some! On Thursday we did a whole morning of silence for CAFOD. I am surprised we survived! Friday finished with a St Patrick’s day assembly, and the Irish dancers showed us their talent, along with some of our fabulous musicians, Tom and Aisling. After marking our homework in the afternoon, we worked on our podcast, which involve a range of topics from parkour to politics. All in all, in Year 6 we have had a great week! Some can balance better than others. The sound of silence to help others in need. This week’s update is from JJ and Josef. Year 6 have been busy this week. On Monday we listened to a relaxing podcast in PSHE and thought about our emotional well-being . We then finished our day by doing dancing in PE. On Tuesday we had our usual routine of maths and reading in the morning and in the afternoon, RE, where we have been learning about Islam. On Wednesday we finished off incomplete work and had our weekly French lesson with Madam Beti. 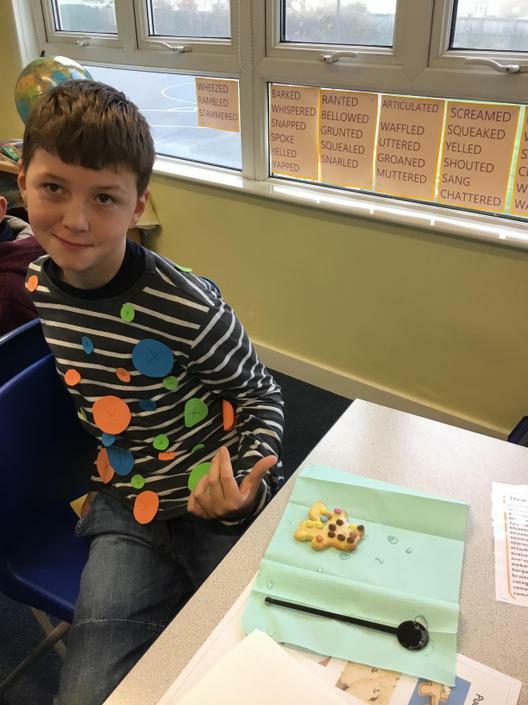 On Thursday we had World Book Day; it was good fun, with lots of great ideas for outfits (Boy in the Dress 👗 Billionaire Boy and his minder and many Harry Potters). We celebrated this special occasion by reading with our Reception buddies and our Year 3 buddies. And finally, today we got a visit from our local MP(Fabian Hamilton), who answered our questions on Brexit and all the main headlines- including the newly formed Independent Party - it was very interesting. Don’t forget our trip to the mosque on Monday - everyone needs to bring a packed lunch. We will also be doing a morning of silence next Thursday, as part of our Lenten fundraising for CAFOD. In addition to that, we need plastic eggs and small chocolate treats for our Friday Fundraising Game in the playground. Any donations are happily received! David Walliams characters sitting pretty! Alice in Wonderland and her friends! 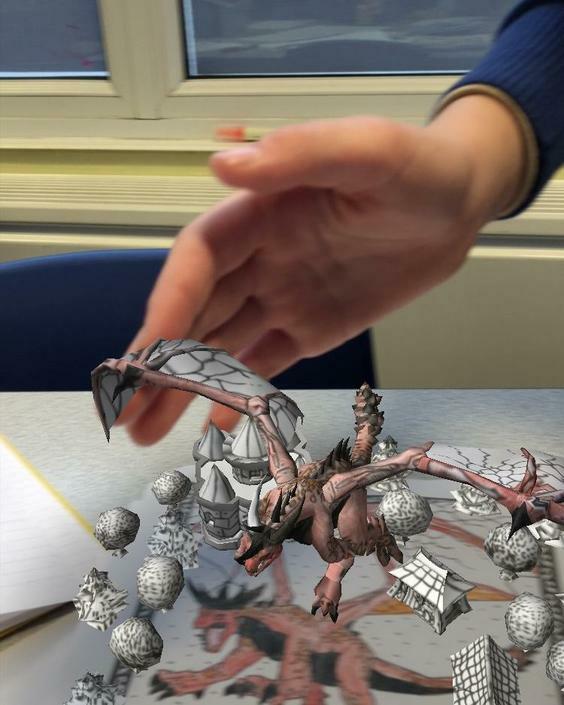 Some mysterious items appeared in class! Happy half term holidays! I haven't set any homework for next week, as the children have been working so hard since Christmas. So they deserve a well-earned break! But I have asked them to keep up their daily reading! Now over to MD to update you on the week. Over the last week we have been doing all sorts of things. 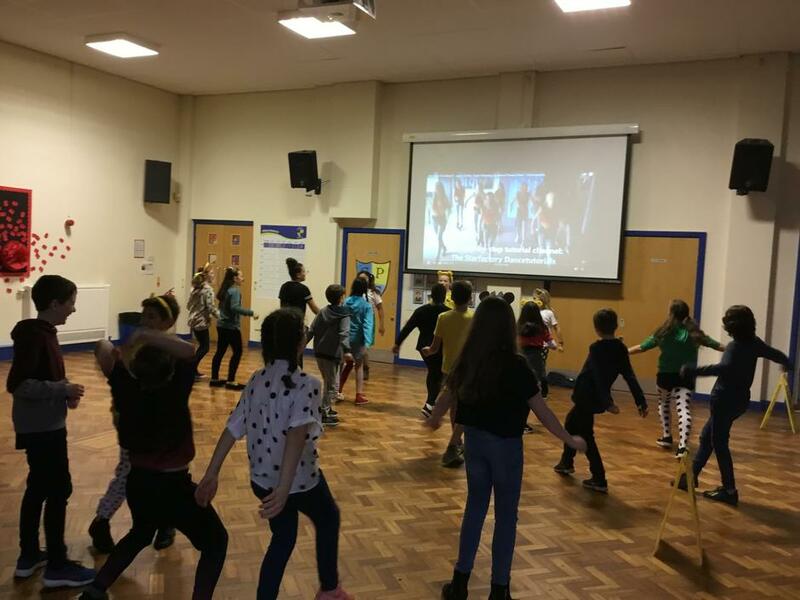 In PE, we had Miss Wray and we were working in groups to form a short routine to 32 beats🎼, to Shakira's 'Waka Waka (This time for Africa)'. On Tuesday afternoon, we had RE and we were learning more about the mass, after the altar servers ran us through what happens in the mass last week. After half term we will be making a leaflet about the mass to show our understanding. In Science. we made a pin hole camera with Mrs Mercer and tested them outside on a sunny day and we could see a single light ray - it was cool😎. Also on that day, we had Valentine’s Day 😍. Some of us gave our special someone a little something. To end the half term, we had a Yorkshire Tucker Trial this afternoon. You didn't have to take part if you didn't want to, but if you did, you got to sample delights like pig's eyeballs (really lychee), bits of brain (raspberries), fish scales (seaweed) and barbeque mealworm (barbeque mealworm). When we knew what we were eating, it didn't seem quite so bad! It was all about mind over matter! Have a lovely half term everyone!! Don't forget, schools starts again on Tuesday 26th February! Over the last week the class have been recording how much time they spend looking on screens and, whilst it is reassuring that they still complete a lot of other activities, the children did generally agree that it made them realise that they spend an awful lot of time looking at screens! Something parents can remind them of when they're glued to their phones! This week, BM is filling you in on the past week in Year 6. In English, we explored when to use hyphens and played fun games and learnt whilst we played ! We wrote about a picture from Harry Potter and some were so good, that two children even showed Mr. Bowker. We also practised our spellings. We were very sporty too: the boys played a football game (we won 2-0) and the girls and one boy ran a cross country race but none of them got through, sadly. In Maths we are doing metric measurements and have been measuring, converting and lots more! And were still going with TT rockstars and Mathletics . But the measuring doesn’t stop there - in Science we have been measuring the length of shadows. In our PHSE lessons, we have learnt and talked about the things we need to grow up, as well as considering our digital footprint and how much time we spend on looking on screens! We have been very busy as you can see we are preparing for our SATs and our move to secondary school. From now on, the children will be writing our weekly blog. Thanks to EC for this week’s! Year six have had a great week learning about lots of different things . In Maths, we have been learning about line graphs and how to draw them. In English we have been learning how to write a balanced discussion about the question: should Rose Blanche save the little boy from the SS troopers? In RE, we had a fabulous time playing a board game about the Last Supper and trying to put the mass in order. We have been learning lots about how to be safe online and doing an online safety quiz, to link with Internet Safety day next Tuesday. For homework, Miss McIntyre has asked us to record all the time we spend looking at screens this week. We are also thinking about our digital footprints. In Science, we have been learning about light and eyes and how they are connected. Have a (snowy) fantastic weekend . We celebrated the day dedicated to the great Scottish poet, Robert Burns, by sampling some haggis, Irn Bru and tablet, and listening to the famous poem ‘Address to a Haggis’. This was a lovely way to end a week of tests! It hasn’t just been tests all week though! We did some art-history in RE, where we looked at The Last Supper by Leonardo Da Vinci and made links between this and mass. In Literacy, we have been looking at discussion texts and worked in small groups to write a balanced discussion about whether Doctor Who should be allowed to retire from being a time lord. We were very lucky to be visited by some time lords who helped us to explore this issue! We used lots of equipment in our gymnastics lesson this week and explored how to move around the equipment using some of the gymnastic techniques we have been learning. Spellings will be given out on Monday! 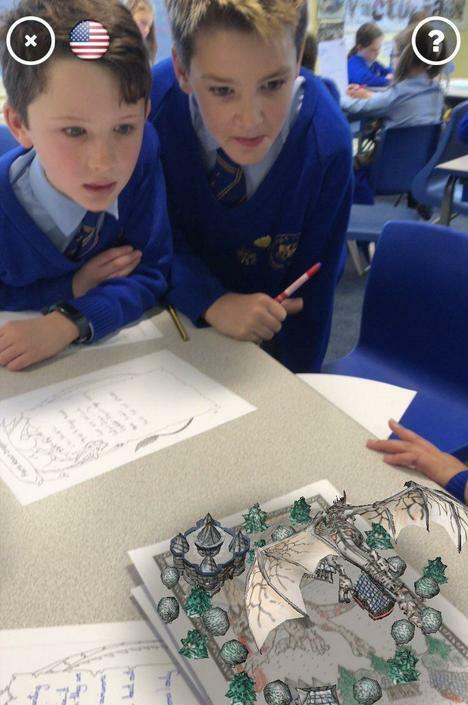 This week Year 6 have been finding out more about World War Two, building on their learning in Year 5. We are reading the book Rose Blanche, which is set in a German town in WW2 and the children have produced some wonderful descriptions of one of the pictures in the book. We’ve been really getting to grips with fractions still in Maths, but next week we’ll move to looking at finding areas and perimeters. We’ll also be completing some assessments in both Literacy and Numeracy next week, to help to assess where the children are in their learning and to inform planning. In RE, we have been starting to explore the mass by looking at the story of Passover. On Friday afternoons we’re having computing lessons and the children are alternating between coding and planning podcasts. Next week we will be attending mass on Wednesday at 9.30am and will be having a special history lesson on Wednesday afternoon. Welcome back and Happy New Year!! I hope you all had a happy and holy Christmas! 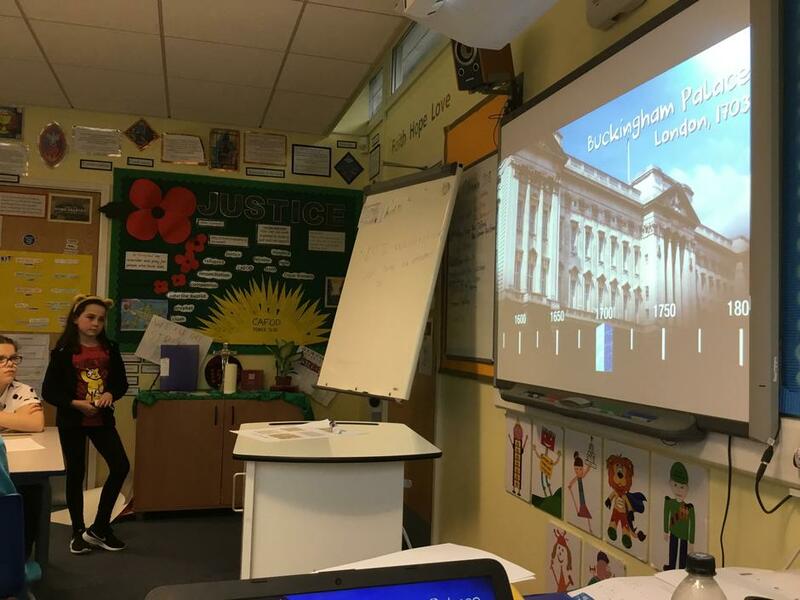 We started our new term off with a PSHE day, where we started to think about all the changes that will take place this year, particularly moving to secondary school. We thought about our goals for the future and how important it is to set smaller goals first, in order to achieve long term goals. We also thought about how important it is to have a growth mindset and particularly how having resilience will help us to achieve our goals and help us with the transition from St Paul’s that the children will make later this year. We finished our dragons topic in Literacy today, completing poetry about weather dragons. The children have been looking at figurative language and how we can create clear images for the reader, using similes and metaphors. In Maths, we are continuing to explore fractions and have been multiplying fractions by whole numbers and other fractions. A new thing that has started this term is a ‘Rebel Girls’ group that will meet weekly to discuss politics and global issues. The boys were invited to join but opted not to, so the girls decided upon their name (not to put the boys off!). Next week we will be starting Maths booster sessions for all children in Year 6, from 8.25am on Wednesdays, up until SATS week in May. There will be a talent assembly next Thursday, so if any of the class want to take part in it, they should let me know on Monday. It’s been a very busy last week of the term! Year 6 have been involved in lots of carol singing; playing football (and winning! ); selling slime at the Enterprise Market; practising and taking part in the Advent Service; practising and taking part in the Advent Garden; making Christmas cards; attending mass; exchanging gifts with our Advent Angels and Reception buddies; enjoying party games and a disco; and watching the Scots Pine band (with a new addition to their line up) performing in the library. We’ve had a great first term in Year 6 and the children have worked very hard and made some great progress. After a good rest over the holidays, I’m sure they’ll return and work even harder! I hope you all have a very relaxing, happy and holy Christmas, full of lots of love and laughter! (And thank you for all the lovely gifts and cards!) See you all next year!! Exchanging gifts with Reception buddies. We are fast approaching Christmas and the children having been practising for our KS2 Advent Service next Thursday evening and our Advent Garden next Friday afternoon. Both the services allow time for a bit of quiet, calm and reflection in this manic time of year, so we would love you to join us for them. 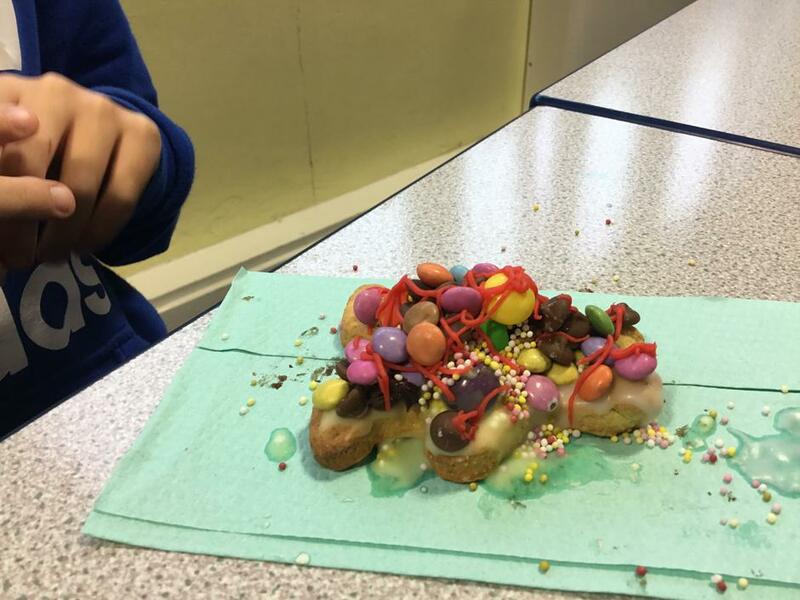 This week has found us busy making slime and travelling through time! The slime is for our Enterprise Market next Tuesday afternoon (something else to add to the diary!) and the children have been working hard to produce posters, adverts and packaging for their slime. It has been a learning curve for us all but the children have enjoyed being creative and working with their teams. 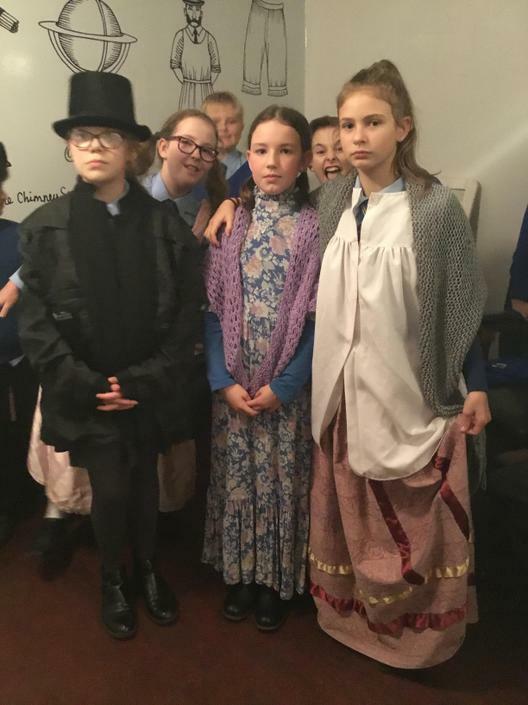 On Wednesday we travelled back to the Victorian times, where there was no electricity, which made the classroom a bit dark and chilly! 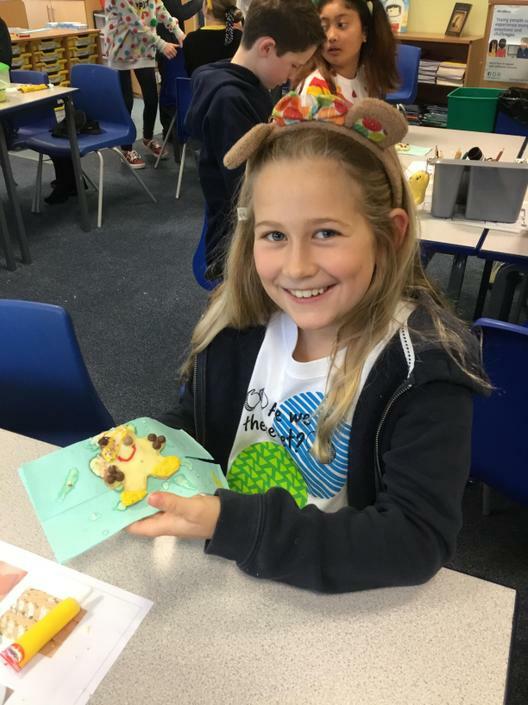 The children learned Maths by rote (see if they can remember how many pounds are in a guinea), recited poetry, made some Victorian Christmas decorations and did some needlework. Well done to the Mini Vinnies and choir, who looked after and entertained grandparents and local residents at the Community Cafe yesterday afternoon. There was a lovely atmosphere and the children did the school proud. Today we were all resplendent in our Christmas jumpers! Don’t forget, next Wednesday is also non-uniform day as we’ll be having our party in the afternoon. This week I have set homework which will be due in on the Friday of the first week back after Christmas. So there is plenty of time to complete it! Happy Advent! We commenced this week with a special Advent day on Monday, when we decorated our classroom in a festive manner and compared different versions of the nativity story in two of the gospels. Everyone in class also selected an Advent Angel, at random, to make an extra special effort with this Advent and if they want to leave little treats or messages for them, that is fine. It has created a really lovely atmosphere in the classroom. Then on Tuesday, after lots of preparation, twenty four children in the class made their Confirmations at Immaculate Heart Church. It was a packed venue and the all the children looked very smart and behaved impeccably. We had a small celebration in class on Wednesday afternoon (which generally involved the children eating a lot of treats!). Maths has involved us using lots of number facts that we have stored away in our brains, from numeracy work we completed lower down in the school. These facts have helped us to link fractions, decimals and percentages and to find fractions of amounts. 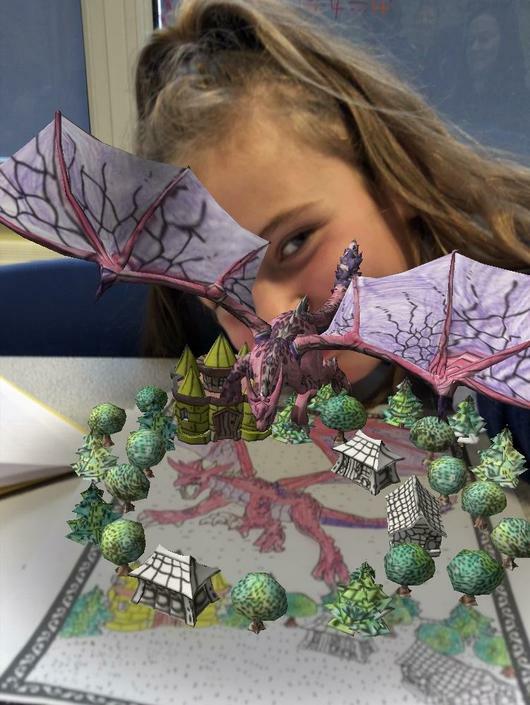 Dragons continue to be the main topic of our writing in Literacy, with the children writing their own dragon stories this week. Once again, I have been incredibly impressed with the writing that is being produced in class and the excellent attitude to learning that is demonstrated. I will not be sending spellings home for the next two weeks as we will be having some random tests on the spellings that we have looked at over the last term, instead. Finally, we are preparing for our Enterprise Market on December 18th and the class have chosen to make slime to sell. So we are planning and preparing by deciding on our product name, slogan and packaging and next week we will hopefully produce an advert and posters to promote our product. Have a fantastic weekend and if the children could try and go to mass this weekend, that would be wonderful! 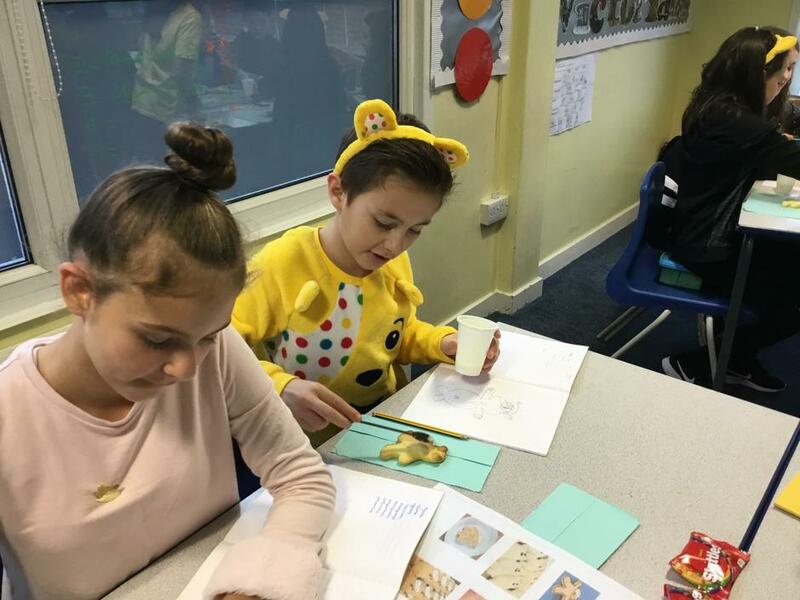 We’ve been busy with assessments in Year 6 this week and all the children should be really proud of the progress that they have made since September. They definitely deserve a treat at the Advent Bazaar on Sunday!! In Literacy, we’re still studying dragons and have been writing our own reports about dragons. Amazingly, we discovered dragon dust in our prayer garden on Monday morning and suspect that it may have been the Golden Acre Frost Dragon, which has been sighted in the local area recently. We took some samples and sent them off to Professor Darkfire’s assistant, Moonstone. Next Tuesday, the children will be making their Confirmations at Immaculate Heart and in preparation for that, Canon Tim came in today, to hear Confession for each child. He will come in again on Monday just to talk to us about what happens in the Confirmation ceremony, so that the children are fully prepared. We’d like to welcome Miss Wray to Year 6, who joined us on yesterday and will be with us next week and then after Christmas. And as someone new joins us, unfortunately one of our lovely girls, Lottie, is leaving St Paul’s to travel around New Zealand! We wish her safe travels and hope she has an absolutely amazing time! Have a great weekend everyone and I hope to see some of you at the Advent Bazaar on Sunday. Happy St Andrew’s Day! Literacy grammar and punctuation lesson. We’ve had another fun-packed week in Year 6, full of fractions, friendships, dragons and a Victorian murder! We’ve been using our knowledge of factors and multiples to simplify and compare fractions in Maths. 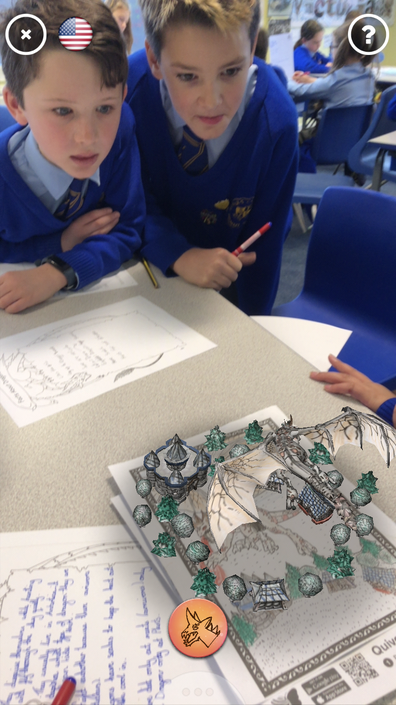 Whereas in Literacy, we discovered that someone left us a book called Dragonology, encouraging us to become dragonologists. 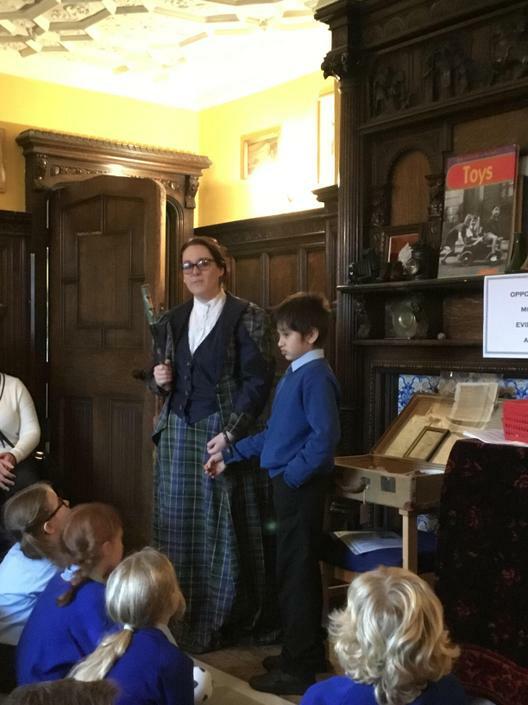 Then the esteemed dragonologist, Professor Darkfire, and his assistant, Mr Lowry, visited us today to tell us all about their studies of dragons. They were extremely knowledgable! 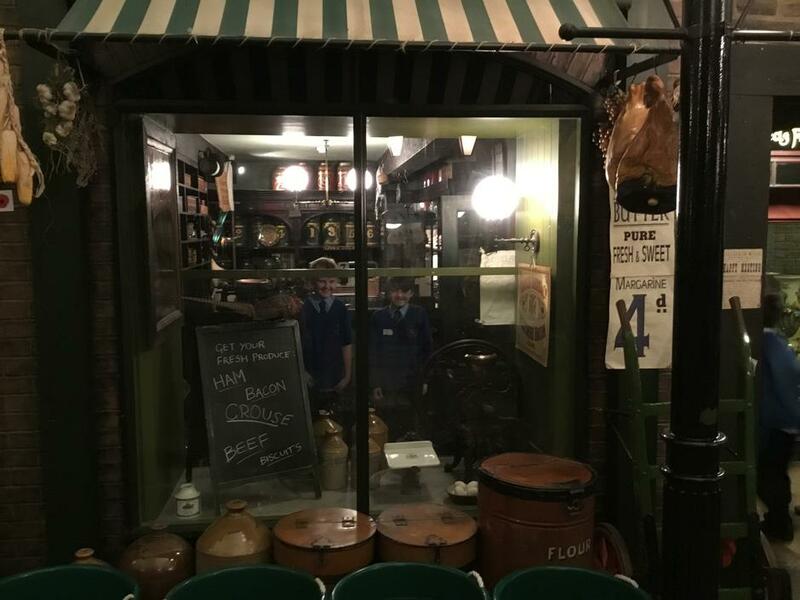 On Tuesday, we went to the Abbey House Museum to help to solve the murder of Mr Sellit, a travelling salesman, who was found dead outside Mr Floggit’s Pawnbroker shop. The class made an excellent set of detectives and successfully found the murderer. The children have been taking part in lots of different sporting activities this week too and have been devising their own games in Monday afternoon PE lessons. 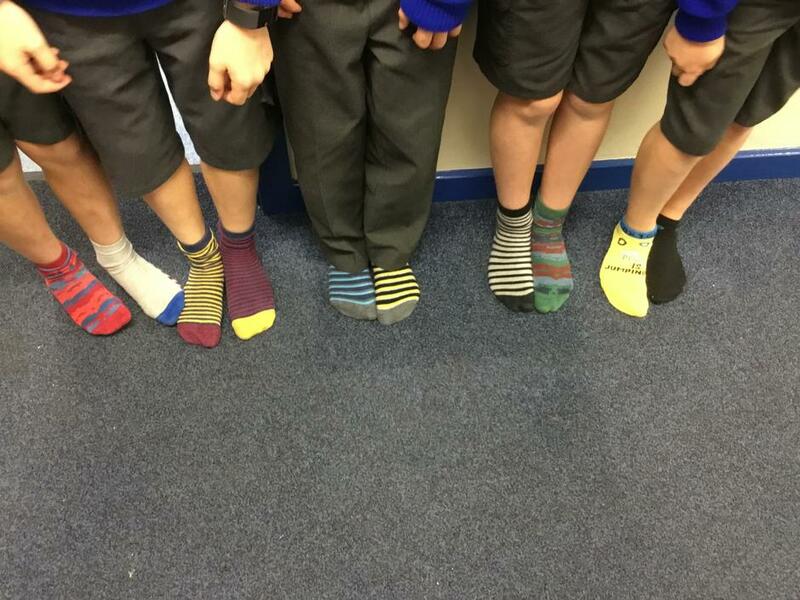 For friendship week this week, we’ve been wearing odd socks and tights to show how we respect and celebrate our differences. We’ve also continued talking about how to maintain healthy relationships, even when things are a bit challenging. Finally, we’ve developed our manifesto for our revolution to help to save Africa, so we can begin to get ourself organised and start to raise awareness and money. Hopefully you all received letters about the Confirmation, which will be the week after next. Year 6 should be really proud of themselves this week! 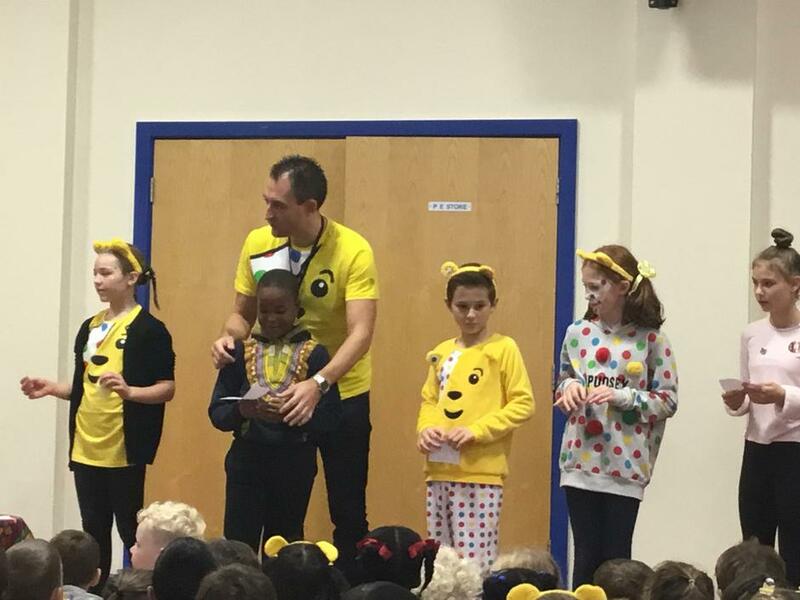 Not only did they start a revolution, but they also showed their amazing potential as teachers, when they took over the classroom today, as part of Children in Need. 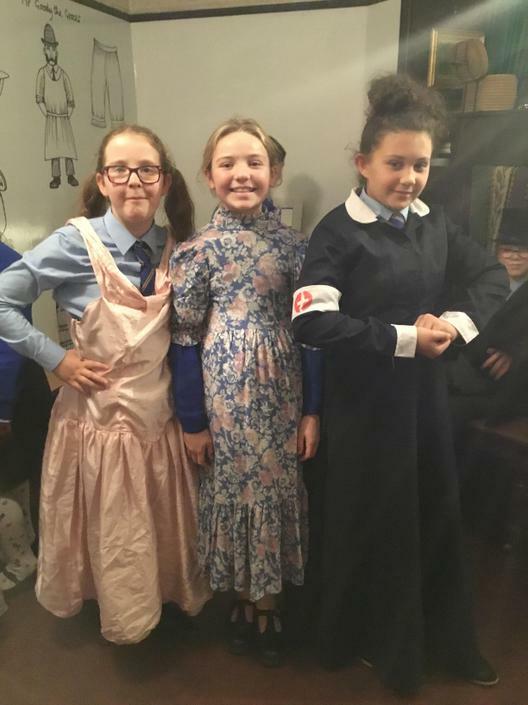 A history lesson about the Industrial Revolution started a conversation about what a revolution was, which somehow ended with the class deciding that they were on strike (although they carried on working) as they didn’t want to have to wear uniform anymore! 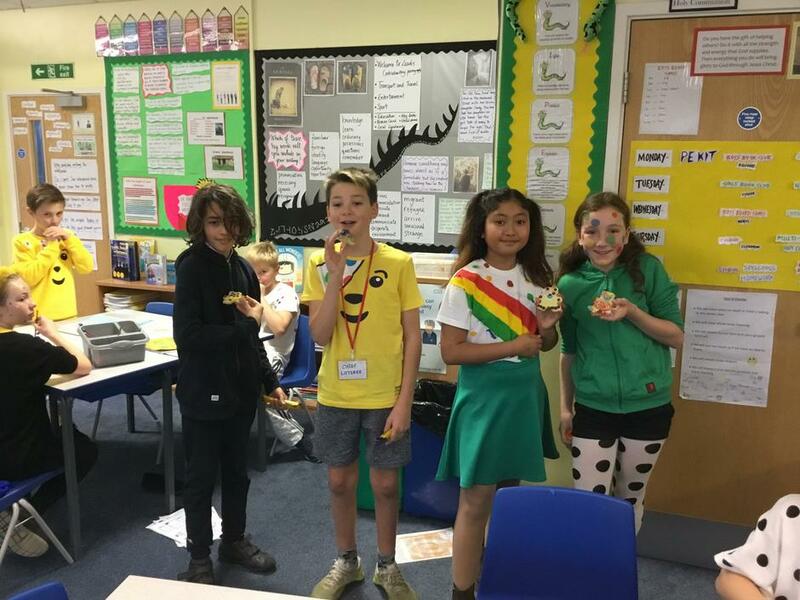 By the end of the afternoon, having looked at the lack of funding for sustainable energy projects in Africa, (as part of our RE topic about Justice) the children felt that saving Africa was a more worthy and important cause. 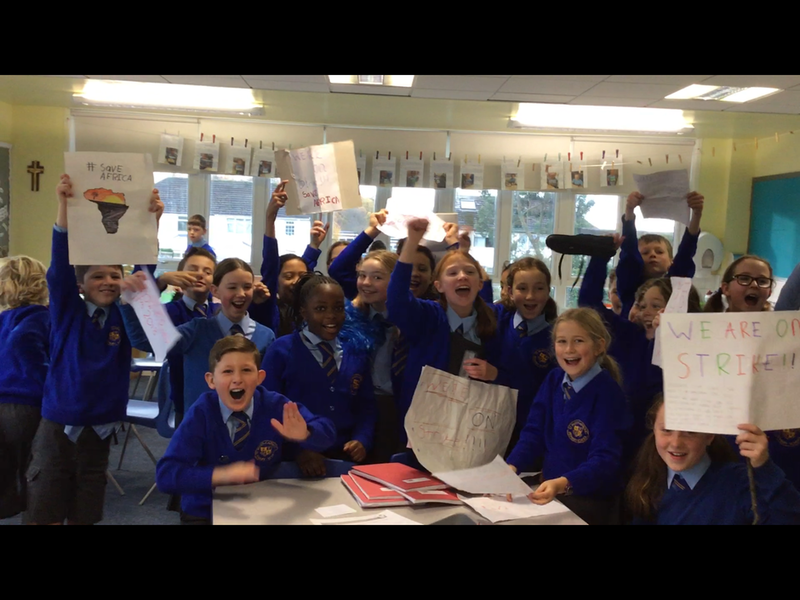 I was very impressed to see how they had all united overnight and worked together, to prepare banners and posters (and even a poem), to show their support for Africans and their intentions to ‘Save Africa’. Their playground protest on Wednesday morning certainly demonstrated their serious intent, so we discussed what kind of action we could take and next week we will draw up our manifesto! If that wasn’t enough, some of the children taught all the lessons today. 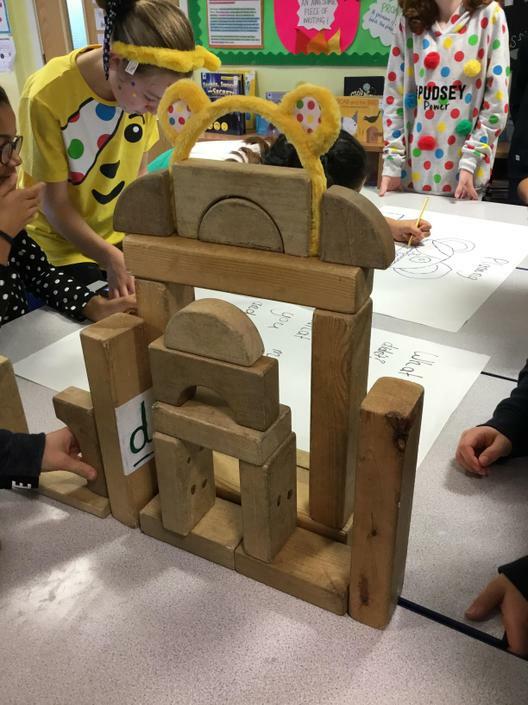 We had a Pudsey Bear biscuit decorating lesson; a lesson on architecture; some IPad art; a super science activity and a dance lesson. 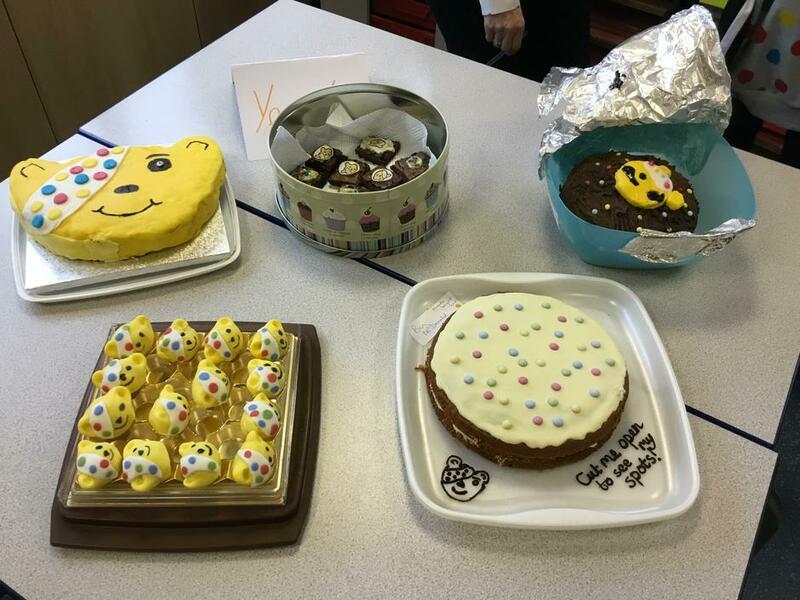 All the children involved put a lot of effort into the preparation and delivery of their lessons, so as promised, I will donate £5 to Children in Need for each lesson. 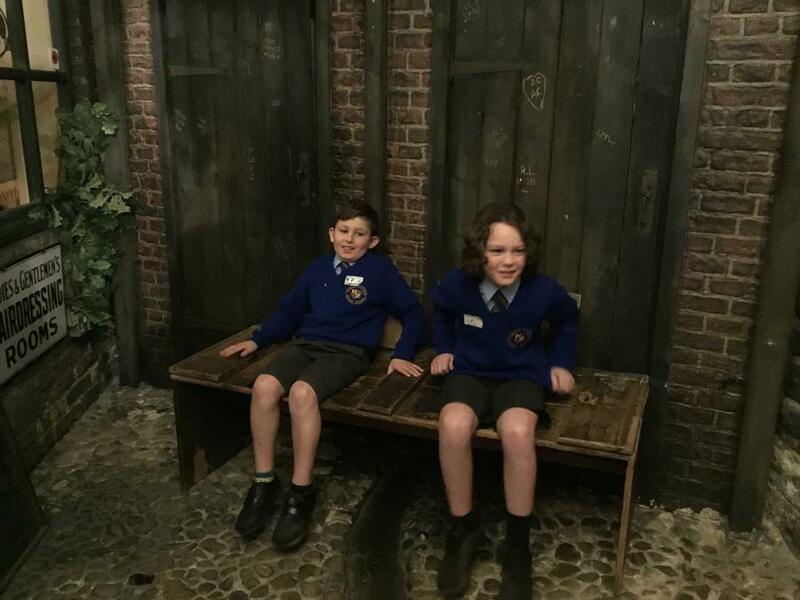 Next week, we have our trip to the Abbey House Museum in Leeds on Tuesday - please can you make sure you check your emails to see the letter about the trip. The children returned to school on Monday, when we had a PSHE morning, thinking about the relationships we have and how we can keep them healthy and positive. In the afternoon, we had our first session with Scott and Harry, two students from Leeds Beckett University, which involved playing a range of games and adapting them. Our new book in Literacy is called ‘The Arrival’ and is a picture book about a migrant. This has allowed us to explore the journey and experiences of migrants and refugees. Next week we plan to create guides for people who might be new to our country and, more specifically, to Leeds. Some aspects of this have linked nicely with our new RE topic of Justice. In this we have been discussing Fairtrade and how we can be global neighbours. In topic, we continue to learn about the Victorians. Having been inspired by the Victorian artist, William Morris, we created our own prints using polystyrene squares that we carved our designs into, before rolling them with paint and printing them onto paper. Next week we will use our prints to create something else! We have finally reached the end of the first half term! 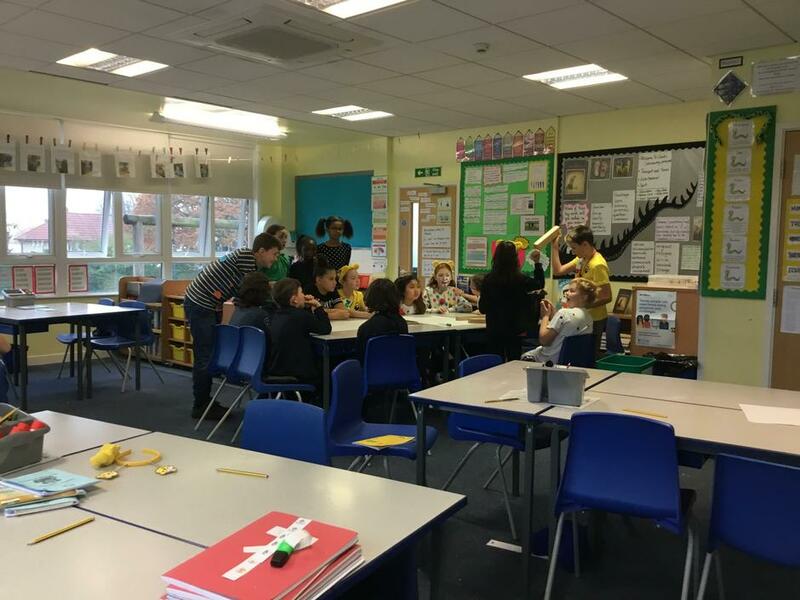 The children have worked really hard for the past eight weeks and I hope parents will see the progress that they have made already in Year 6, at parent's evening after the half term holidays. Our focus for Literacy this week has been the short film called 'Ruin', which the class wrote narratives for, as I mentioned last week. Children were able to work independently or with a partner to create their narrative and then, on Friday afternoon, we used iMovie to record our narrative over the film and also add backing music and other effects. We continued to explore division in Maths and looked at a couple of methods for long division, examples of which I have sent home and have included below. Just a reminder that forms for Confirmation need to be in as soon as possible. I have spare ones if necessary. Secondary school applications must be completed by next Wednesday 31st October. We had our last extra session of PE with Dan on Friday, but we will work with him again in the Summer term. Next half term, PE will be the whole of Monday afternoons and two students from Leeds Beckett University will be coming to work with the class, to help them to develop their own games. Have a lovely half term holiday!! I have set homework as normal and additionally recommended that the children watch last week's episode of Doctor Who, which links in nicely with our work for Black History Month. A very efficient method of long division. The ‘chunking’ method of long division. The choir singing in assembly. Collective worship reflecting on equality. Helping our Reception buddies with baking. It’s been a real pleasure to read the work of some budding authors this week. The children wrote their version of the next chapter in Streetchild and I’ve been really impressed by the originality of their ideas and the effort that they have put into their work. Next week in Literacy, we’ll be writing a monologue to accompany a film. We will then record our monologue and play them over the film, using iMovie. Division has been our operation of choice in Maths for the last couple of days. I think the children have really realised how important times table knowledge is in order to solve division problems. I’ll send out the Rock Star Maths and Mathletics passwords again next week, so the children can practice and improve their maths skills at home too. In RE, we have been learning about the Sacrament of Marriage and the children have written some lovely reflections on why people get married and what advice the Bible has for married couples. Confirmation forms were sent home today. If your child was not baptised in the parish, please can you attach a copy of their baptism certificate. You can return everything to school and we will pass it on to Canon Tim. As it’s Black History Month, we’ve been discussing racism and how ignorance, suspicion and peer pressure are all factors that lead to prejudice. Last week, we found out about Walter Tull - one of Britain’s first black outfield footballers and one of the first officers in the British army of Afro Caribbean descent. He suffered racism at many of the matches he played in and, unfortunately, this is still an issue for footballers today, despite efforts by the FA and FIFA through their no tolerance campaigns. Thanks to the Mini Vinnies in the class, who have been leading the rosary at playtimes in this month of the Holy Rosary. Discussing what makes a good relationship work. Multiplication, the lives of Victorian children, William Morris and football have all featured in Year 6 this week. We’ve moved onto long multiplication in Maths and everyone has demonstrated a good grasp of it. Next week we’ll be focusing on short division and then long division. Our novel, Streetchild, took an unfortunate turn and the main character ended up in the workhouse. But then he escaped! Next week the class will be writing the next chapter of the story, so we’ve been finding out about the kind of jobs that children in Victorian England had - they weren’t very pleasant. In our topic work, we have continued the Victorian theme - looking at where the Victorian era fits into world history. We have also studied the work of William Morris and are beginning to design our own patterned wallpaper for the classroom. The gifts of the Holy Spirit have been our focus in RE lessons, as we continue to prepare for the children’s Confirmation in December. PE is all about football for the rest of the half term. On that note, the Under 11 team maintained their unbeaten record this week, winning a game against St Urban’s and then drawing with Alwoodley. Don’t forget that secondary school applications need to be submitted by October 31st. If you have any questions, please do come and see myself, Mrs Mercer or Mr Bowker. Lots of the class have managed to get on the gold star this week, which is a fantastic start to October! We have started to read our new novel, Streetchild, and the class have been exploring the idea of empathy and how we can use evidence from the text to imagine for ourselves what it might be like to be a particular character in the story. In our Maths work, we are beginning to look at efficient methods of calculation using the four operations, beginning with column addition and subtraction. In RE, the children explored what the sacrament of Confirmation involves and have reflected on why they are getting confirmed and what it means to them to get confirmed. We were entertained by a variety of children on Thursday in our first talent assembly. Our renamed Peat Rigg talent show winners, Scotch Mist, played us a cover of Seven Nation Army by the White Stripes and two of the girls made us chuckle with a very funny comedy sketch about accents. Finally, we ended our week with a Harvest Festival, led by our Mini Vinnies. Thank you to everyone who contributed hats, scarves and gloves - the representatives from the St Vincent de Paul Society were delighted. I’ve finally managed to get photos of the class with all their buddies from Reception. The children are thoroughly enjoying taking it in turns to spend time reading with Reception on Friday afternoons. That’s all for this week! Have a great weekend and enjoy Leeds Light Night if you get the chance to go (I can highly recommend it!). Scotch Mist - allegedly too cool for school. We have had a great week in Year 6 this week! The children have all been working really hard and are settling into the routines. 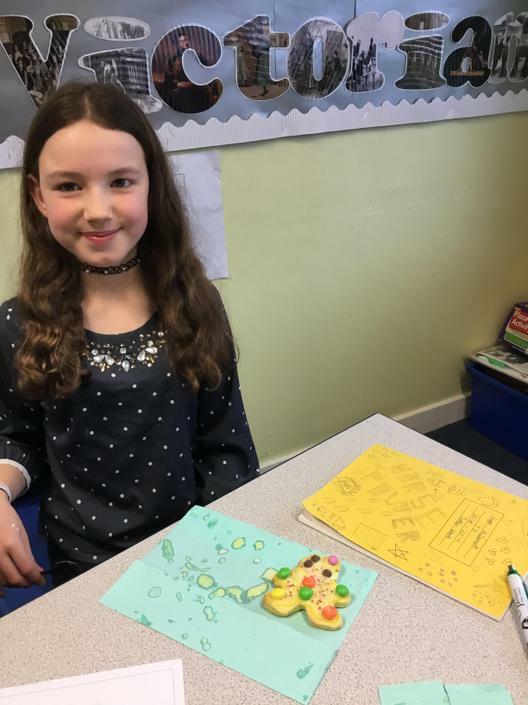 We have continued to produce work related to our residential in Peat Rigg - the children have written a set of instructions for one of the activities and a leaflet to persuade Year 5 to go there for their residential. Next week we will begin reading a novel set in Victorian London. During Maths lessons, we have been focusing on the place value of numbers up to ten million. 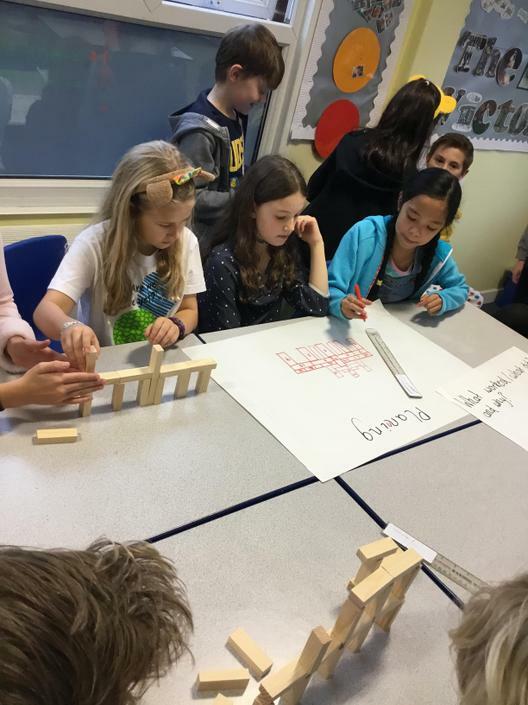 The children have been securing and deepening their understanding of this through completing a variety of more challenging activities, where they need to apply their knowledge and understanding of place value. We will explore negative numbers next week and then begin to look at the four operations. Thinking about the Sacrament of Reconciliation has been a key part of our Confirmation preparation this week. Father Josh also came in to talk to the class on Wednesday morning, to discuss the importance of the Sacraments in our Catholic journey. We finally started our Victorian topic work on Wednesday too, sketching some of William Morris’s patterns and then today we started to research Queen Victoria, in preparation for writing a short biography about her next week. That’s all for now! I hope you have a lovely and peaceful weekend! Thank you to all of the parents who were able to make our class assembly this week - I hope you enjoyed all our performances and tales of Peat Rigg! We started our Confirmation sessions in RE at the start of this week, focusing on the Sacrament of Baptism. It was lovely to see photos from and hear all about the children’s baptisms. The children also produced some really lovely and mature RSVPs to Jesus’ invitation to become one of His disciples. 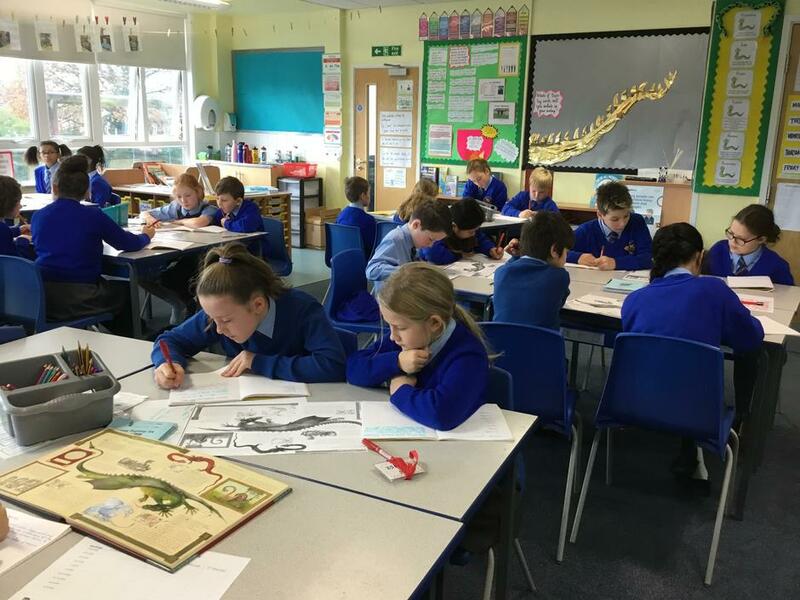 Our Literacy lessons have focused on writing recounts of our residential week and we have just started today to write a set of instructions for one of the activities. In Maths, the children have been looking at the place value of some very large numbers (up to tens of millions) and have been generally trying to get back into a mathematical frame of mind, after a couple of months off! The children have received some homework books today and their spellings to learn for next week. I have also set some homework on Mathletics. What a fantastic week we’ve had at Peat Rigg! The class have been fantastically behaved, showing excellent manners and great team work. All the children have really pushed themselves, with some taking strides out of their comfort zone. Mrs McGurk, Mr Bowker and myself have had a great week filled with lots of laughs and we’re really proud of our Year 6. I hope you’ll be able to make it to our class assembly next Thursday for more tales of our fabulous week away! Crate challenge blindfolded - very trusting! I hope you had a lovely Summer holiday and are ready for the exciting year ahead! Thank you to all of the parents who made it to the meeting this week and sorry it was at such late notice. All of the information (and more details of what the children will be learning in this term), will be in our Curriculum Newsletter which will be sent out in a couple of weeks. We have had a lovely first week in Year 6! The children have been brilliant and have settled into the classroom and the Year 6 routine really well. Congratulations to our new School Council members and House Captains and Vice Captains who are pictured below. Next week we'll be on our residential in Peat Rigg ( http://www.peatrigg.org/ ) and I'll try to post photos on Twitter and on this page if and when we get any wifi. I know that the children will have an amazing weekend and lots of exciting memories will be made!